The ranch hospitality is genuine—they specialize in very small numbers of guests at any one time so they can tailor the experience to your interests. 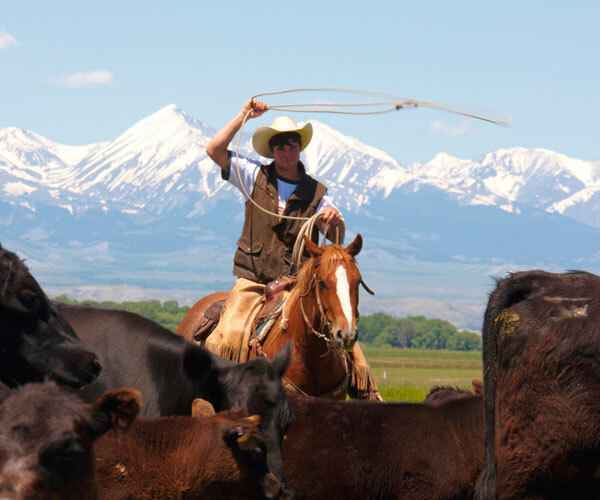 Guests who want to live and learn about the ranching way of life as well as those who just want to get away from it all are invited to join the Metcalfs on their family-owned and family-operated cattle ranch. The vistas in this part of the country are spectacularly immense—wide open riding country. At the foot of the rugged Absarokee Mountains, Lower Deer Creek Ranch is home to the Metcalfs. 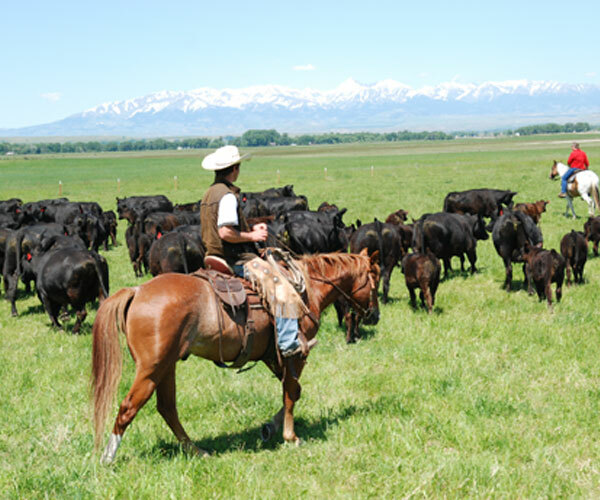 Riding and cattle work is the biggest drawing card at the Musselshell River Ranch where cattle summer on 5,000 acres. 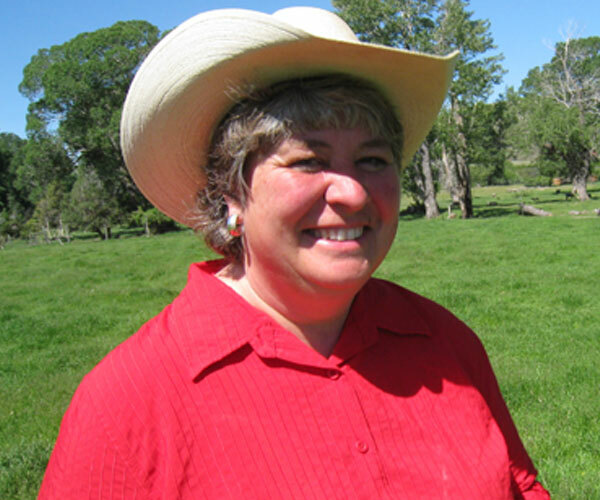 Born and raised on a Montana guest ranch, Susan is not shy about telling ranch stories on herself and her family. 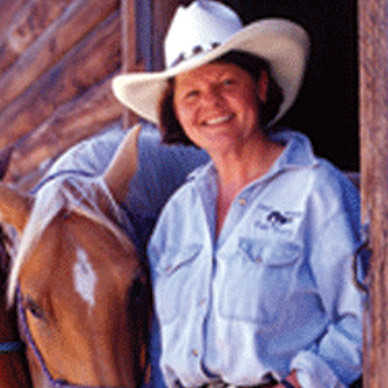 She is a renowned back country cook, respected Director of the Montana Cattlemen’s Association, and is at home on a horse whether roping a calf or sorting a cow. A perfect match for her husband, Remi, who juggles ranch responsibilities between the ranches. Their kids (Brooke 24, and Bret 22,) will be 5th generation Montana ranchers when they take the reins. 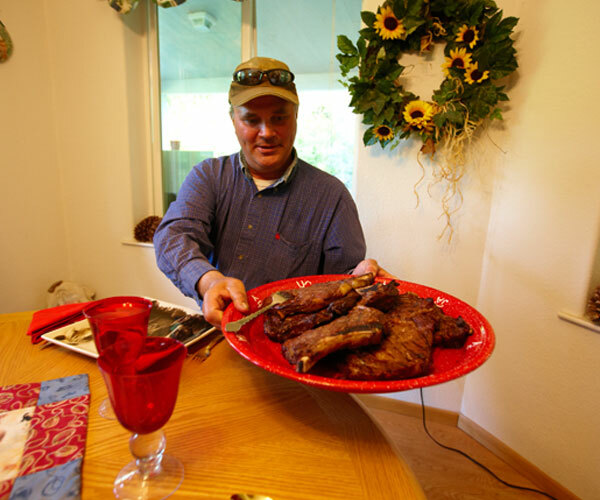 Montanans have come to know Remi and Susan Metcalf and to appreciate their sense of humor by reading Susan’s “Cooking in the West” column which is published weekly in the Western Ag Reporter. 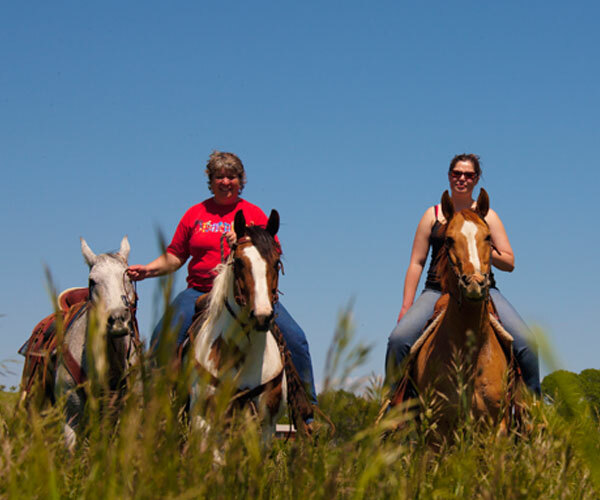 Ranch riding includes May brandings, a summer cattle drive, and riding herd health. 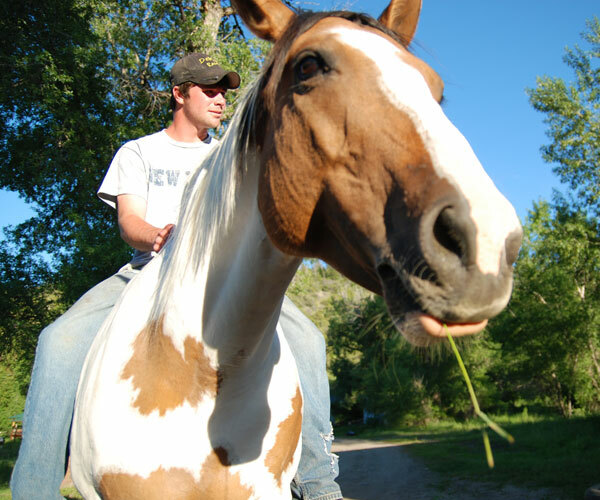 Ride a ranch-raised horse or bring your own. Rides are tailored to the skill and preference of the guests. 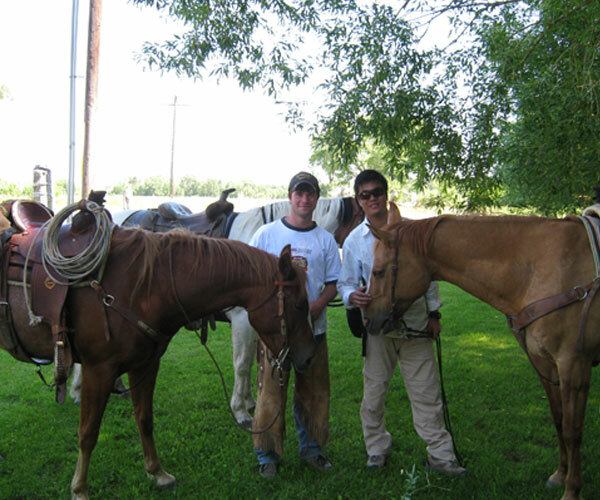 Enjoy excellent trail riding taking in spectacular vistas; favorites include evening rides to the "Top of the World"
Spacious log cabin bunkhouse nestled in a cottonwood grove on the banks of Lower Deer Creek features hand hewn log furniture and a sitting porch complete with rocking chairs. Two bedrooms with comfortable queen beds, bathroom, kitchenette, and living room with Wireless Internet and satellite TV. Conveniently located mid-way between Billings and Bozeman just 10 minutes from Interstate 90. Cabin features carefully crafted log architecture; built in 1976 by Susan’s father. Has a rustic western flair with a big fireplace, fully furnished kitchen, and all the modern amenities including washer/dryer. Two bedrooms (each with a comfortable queen sized bed) and bathroom. 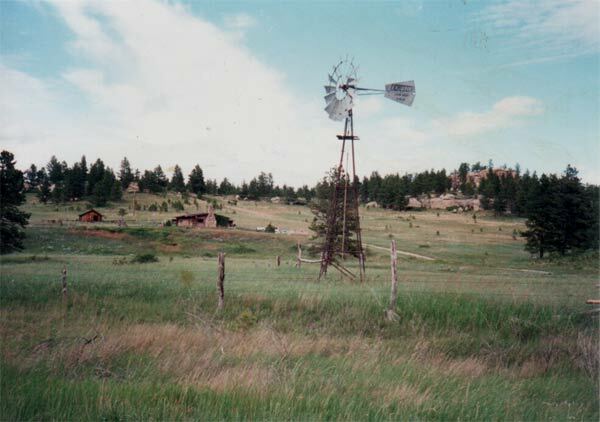 Located off the beaten path in the Bull Mountain; situated near great-grandpa’s homestead. 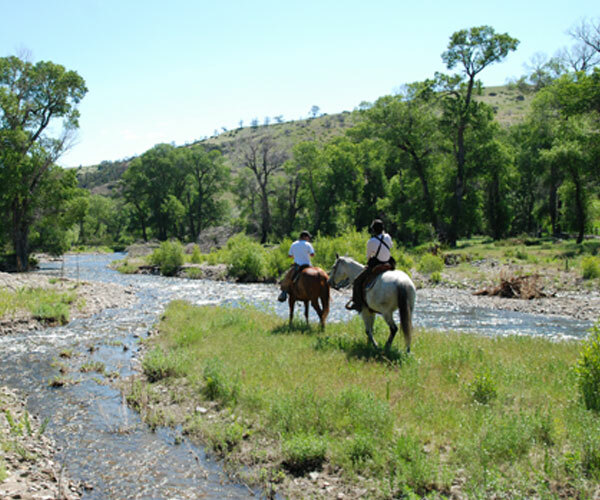 Anthony Bourdain, host of the travel show NO RESERVATIONS, gives this ranching experience a big endorsement!